Gorsuch is something of a superstar. We assume Anschutz hires great people. Further, while everyone would like to think that everyone can bootstrap their way to the highest court, the truth is that Gorsuch probably met a few people, and fostered those relationships, on his way up. This story is even less of a nothingburger than Rachel Maddow’s big revelation that President Trump actually does pay taxes, much to the left’s chagrin. The smoking gun of this entire article is that Gorsuch also owns fishing property with people who also once worked or still work for Anschutz. Even more of a bore, if that’s possible. But, here’s where the New York Times reporting gets really weird. 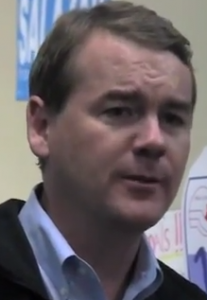 Democratic U.S. Sen. Michael Bennet also worked for Anschutz, a fact conveniently omitted in the article. Bennet’s brother, James, is the editorial page editor at the New York Times. Was Bennet’s name intentionally left out of the article in deference to his brother? Or is the origination of this article Michael Bennet himself, who, having worked for Anschutz, could certainly explain the corporate structure and relationship nuances in this article. It’s awkward enough that literally everyone except for hard leftists – and Bennet – think Gorsuch is a fantastic pick. But if Bennet participated in this article as a way to torpedo Gorsuch – someone who worked for the same man that helped Bennet find his footing – well, that just seems like good old fashioned sibling rivalry and sour grapes. But this just shows how shallow the arguments against Gorsuch are.